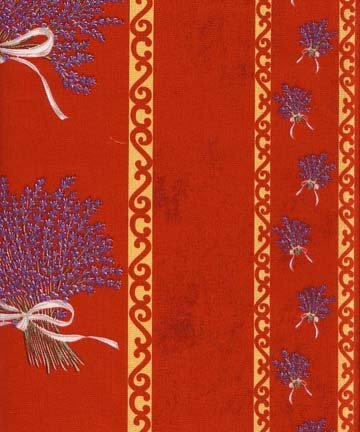 This lavender on red cotton border print is 62" wide with 5 repeats of a wide border with lavender bunches and smaller borders in between. The image shown is approximately 8 inches wide. Priced per yard. Half yard minimum.